If you hold the Citi Prestige card, you’re about to lose an important benefit. Starting July 23, 2017, American Airlines Admirals Club access will no longer be a feature of the card. Of course, there is still Priority Pass membership as a benefit, which provides access to hundreds of lounges, but there are not as many in the U.S. For the $450 annual fee, this is a big loss for domestic travelers that fly American frequently. Southwest is offering TSA PreCheck for only 9,000 Rapid Rewards points. While this does not waive the regular screening and background check that come with the application process, it does mean you can save $85 from the standard application fee. Might not be the best use of your points, but for some, it might make sense. When American’s loyalty goes revenue-based in a few days, most fliers will be earning fewer miles with their travels on the airline. When flying a partner carrier, fliers can still rack up miles based upon distance flown, but prepare for a reality check come August 1. With little notice to customers, American has also slashed earning rates for many partners (especially when it comes to economy class tickets). This affects both how many redeemable miles you earn, and how many miles count toward achieving elite status. For example, several Qatar Airways economy fares drop to 25% mileage earning, and some business class fares lose their class of service mileage bonus. With all of the changes coming to American’s mileage earning system, it was about time that the airline updated its online display for what you are earning. Now, members can see how many miles are earned per dollar spent, how many elite qualifying miles are earned, and how many elite qualifying dollars are being racked up from past flights. The latter two are now co-factors in achieving elite status, which adds another layer of complexity for those that enjoy extra perks. If you were considering crediting your Delta and American flights to Alaska Airlines, think again. The airline, which still offers a mileage program that earns miles based upon distance flown, has cut earning rates for partners Delta and American. Many travelers had planned to credit flights to Alaska in hope of earning more miles, but Alaska has put the kibosh on that. Previously, the cheapest tickets on American would earn 100% of miles flown, but under the new chart, they only earn 25% of distance flown. Ouch! One of the more popular perks for Platinum and Diamond Medallion fliers on Delta are the upgrade certificates that can be used on long-haul international flights. There are no fare restrictions, but space can be limited. Delta now allows them to be used on any Virgin Atlantic or Delta flight in addition to select Air France and KLM flights. One of the best benefits of the Platinum American Express credit card is enjoying access to the network of Centurion Lounges across the U.S. Locations include Dallas/Ft. Worth, Las Vegas, Miami, and New York LaGuardia. The new lounge has a buffet of locally curated menu items and a bar preparing craft cocktails and champagne. Don’t have the card? Befriend someone who does as they can bring one guest in with them. If you have a United-branded credit card, be sure to take advantage of this offer by July 31. 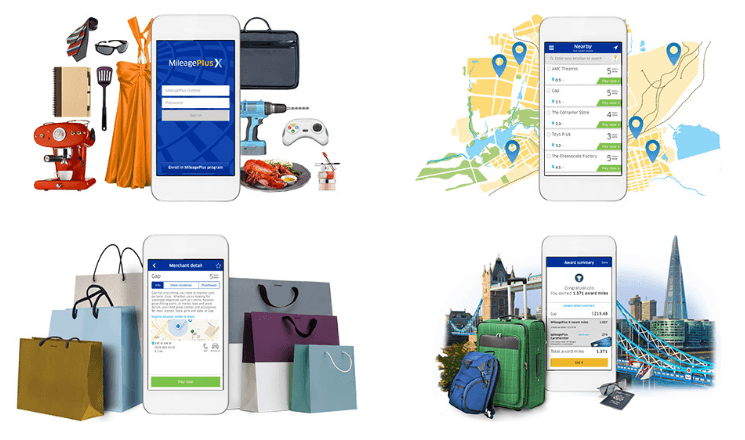 Download the MileagePlus X app to your smartphone and make a purchase through the app to earn miles for dollars spent in addition to a 500-mile bonus. Now that the U.S. Department of Transportation has awarded airlines new routes to Cuba, it is almost time to start planning a journey (for free) to a newly opened country for Americans. Prepare your mileage balances: American was awarded four flights to Havana (including four from Miami and one from Charlotte); both JetBlue and Delta will fly to Havana from cities like New York and Orlando; Alaska secures rights to fly nonstop from Los Angeles; and United will fly from Houston. British Airways’ (and Iberia’s) loyalty program allows fliers to combine points and cash when it comes to making flight reservations. Members can choose from a sliding scale of cash and points combinations. For example, fliers can receive a $15 discount by applying 1,250 points to their reservation. This allows members that may not have enough points for a complete redemption to still find value in their points when traveling. Turkey has certainly been in the news a lot this summer, and not for good reasons. As a member of Star Alliance, fliers can redeem miles to fly on the airline, and space in the coming months is quite good (understandably to encourage travel on the airline). Turkish flies to more countries than any other airline, so there is a good chance the airline is going where you want to go. You can search for reliable Turkish award space on United’s website.